It's at least 6 times better than single CD. 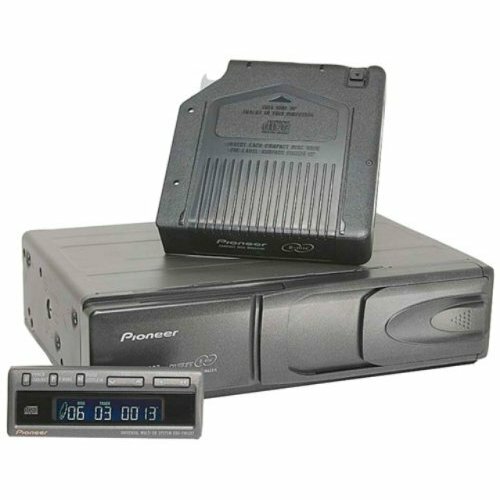 The CDX-FM687 6-disc CD changer is compatible with Pioneer's "IP Bus" headunits, and plays 6 of your favorite CD's, CD-R's, and CD-RW's. 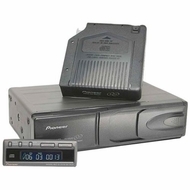 It remembers and displays the name of the last 100 CD's it's played, as well as your special track programming. The CDX-FM687 mounts in a variety of locations and angles in your vehicle, and you can control it via your Pioneer IP Bus headunit and remote. Dimensions (WxHxD): 10-1/8" x 3-3/4" x 6-3/4"